The pump track will be open to cyclists of all ages and skill levels and provide great recreational opportunities for the whole family. Various styles of bikes can be used on the pump track, so other than a bike and a helmet, there is no special equipment needed. Pump tracks offer a safe, traffic free environment to build riding/trail handling skills, be physically active, and have fun. The pump track is a continuous loop with small berms and “rollers” (smooth dirt mounds) that enable the cyclist to benefit and enjoy regardless of their skill level. 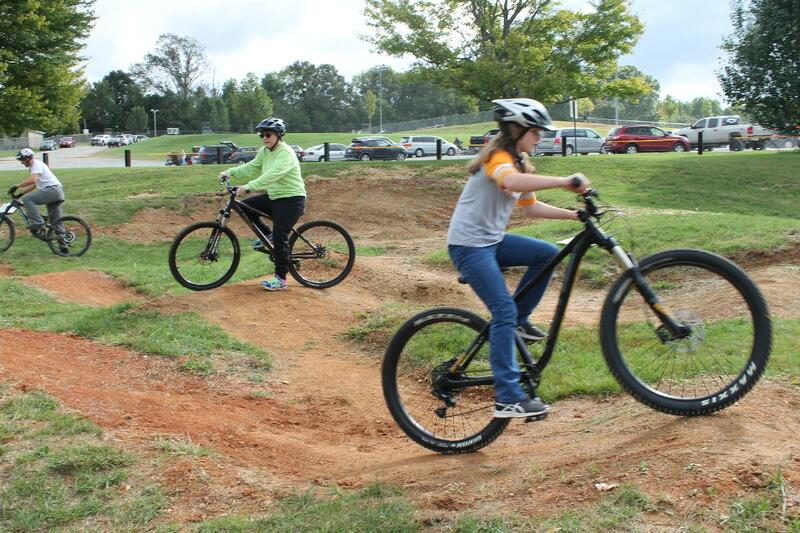 According to John Cox, track lead, the nature of the pump track enables young riders to learn riding and trail skills while the more advanced rider can use the flow of the track to maintain speed as opposed to pedaling. “We are excited to have another option for bikes, especially an area where parents and children can get outside together and enjoying riding.” says Cox. The “pumping” motion of their arms and body takes the place of pedaling and delivers a great work out. While young riders and families can us the track for a fun day together, more technical riders can use it to train. All riders receive the health benefits of being outside and recreating. A family environment of physical activity will be nurtured through clinics and events that are sponsored by both the parks department as well as the local bike enthusiasts. A kiosk marks the track entrance and displays rules and information on how to ride. All riders must adhere to the rules as posted. Helmets are required. The staff of Morristown Parks and Recreation thanks the State of Tennessee’s for the Healthy Active Built Environment Grant Funding, Hamblen County Health Department, Morristown Public Works and Park Maintenance for making this happen! 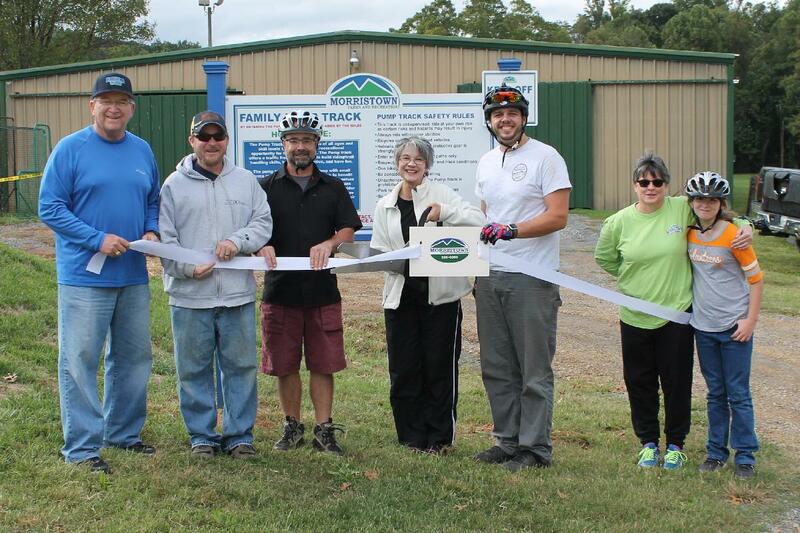 Thank you to John Cox for initiating the project, helping with the design, and volunteering a load of hours of labor on the construction and maintenance of the track, Ben Cox for hours of labor, and the Five Rivers Mountain Bike Club for helping with some finishing touches and partnering to help maintain the track. For more information, please contact the Parks and Recreation office at 423-586-0260.